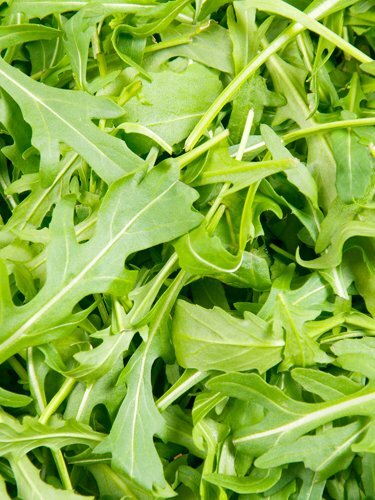 Also called Rocket, this is a peppery green very popular in Mediterranean dishes. 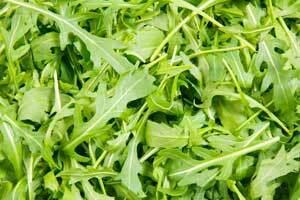 Loosely wrap Arugula in damp paper towels and place in a plastic bag for up to 3 days in the refrigerator. 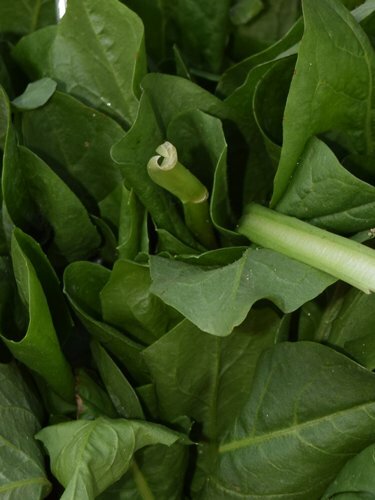 Low fat, cholesterol free, very low sodium, good source of folate and calcium, excellent source of vitamins A and C.
Although gardeners may look with disdain on the yellow-flowered dandelion when the weed grows wild in their yards, cooks view its leaves with delight. 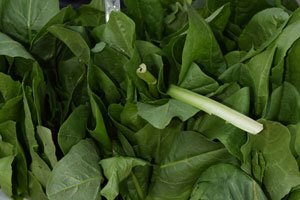 Recognizable by the leaves’ jagged edges, dandelion is a bitter-tasting green that have a little bit of a peppery flavor to them. 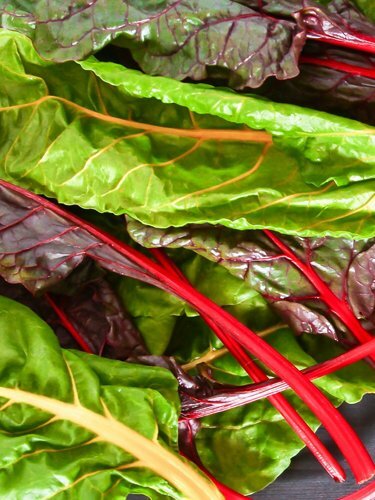 Choose flat leaves that are crisp, upright and not wilted. 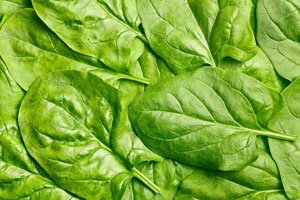 Avoid greens with leaves that are wilted, yellowing or have dark green patches of slime on parts of the leave. 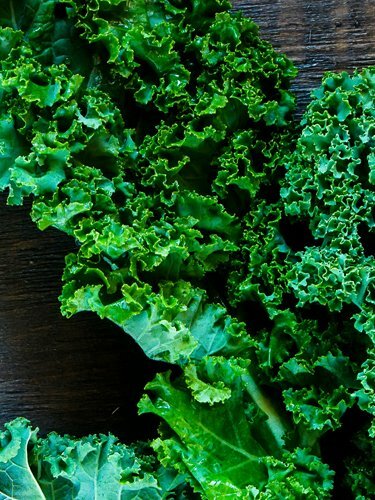 Low in fat and sodium, saturated fat free, cholesterol free, an excellent source of vitamins A, K and C, and a good source of fiber, calcium, manganese, iron, and vitamins B1, B2 and B6. 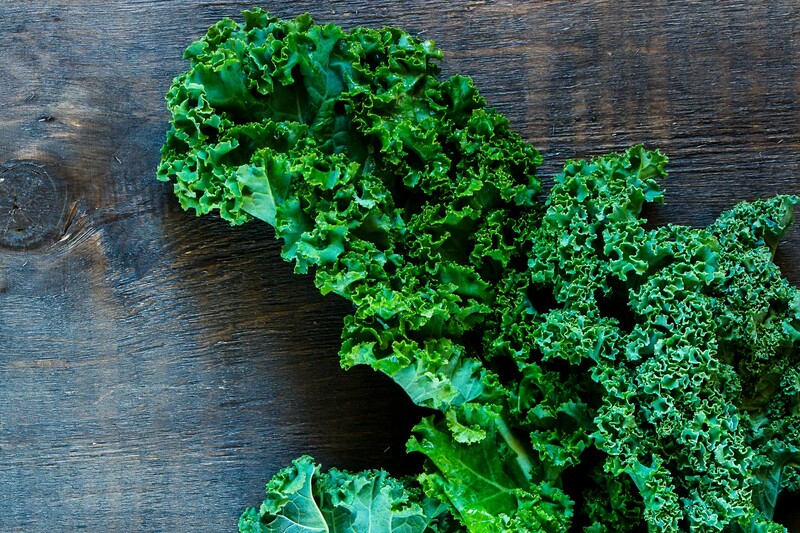 Kale is a member of the cabbage family that is very popular in Northern Europe.It was so popular in Scotland that being invited to “come to kale” was an invitation to dinner. 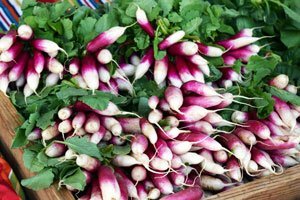 Low fat, saturated fat free, cholesterol free, low sodium, excellent source of vitamin A and vitamin C, good source of calcium and potassium. 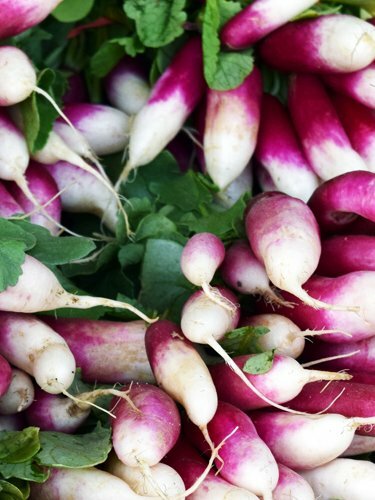 Choose firm, crisp stalks with as much white and light green regions as possible. 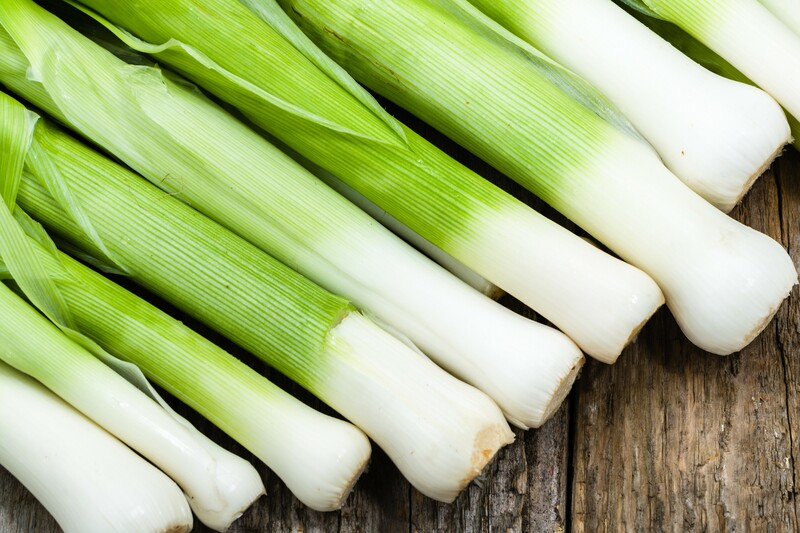 Avoid leeks with yellow or withered tops. 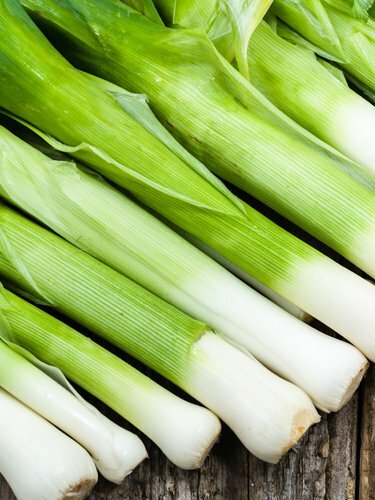 Refrigerate unwashed leeks in plastic bag for up to two weeks. Rinse before using. 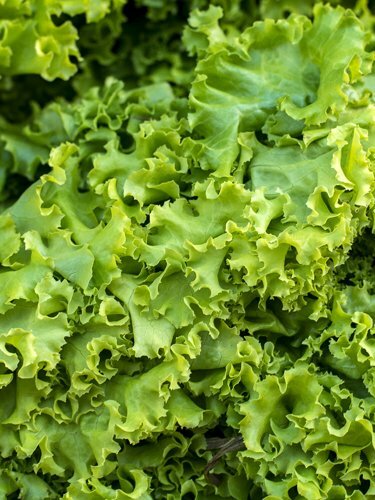 Fat free, cholesterol free, very low sodium, excellent source of vitamin A, good source of vitamin C and folate. 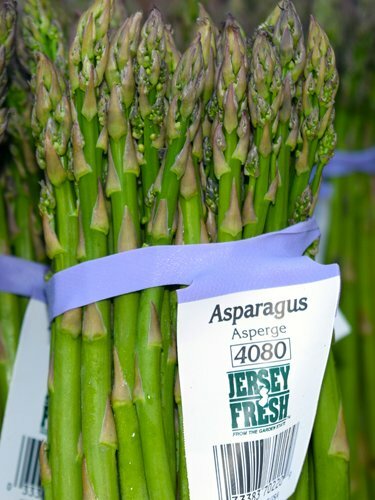 New Jersey ranks 4th in the nation in asparagus production. 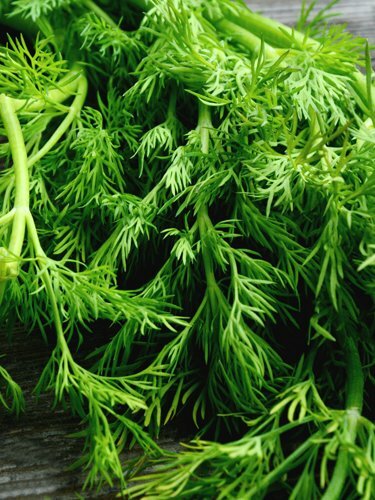 Asparagus folklore credits these delicious green spears with everything from curing toothaches to being a reproductive tonic! 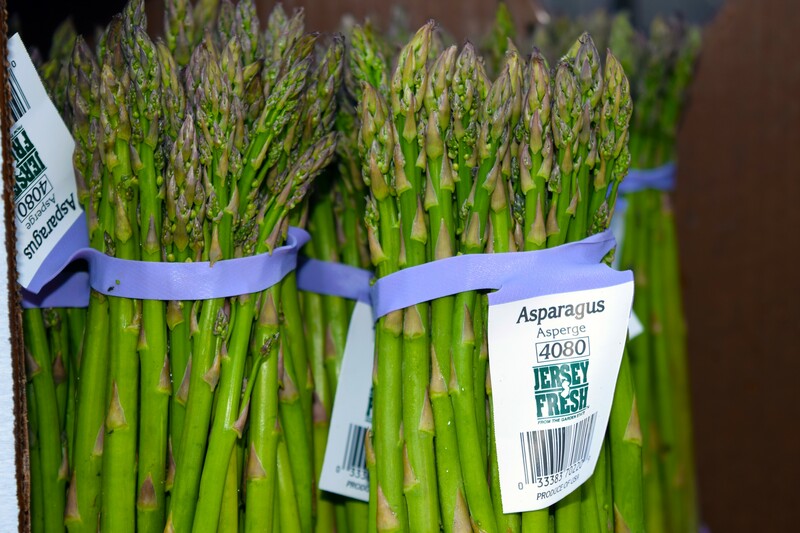 Refrigerate asparagus for up to four days by wrapping ends of stalks in wet paper towel and placing in plastic bag. 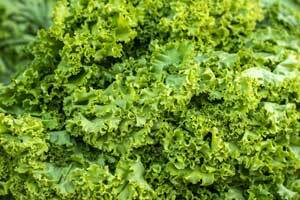 Fat free; saturated fat free; sodium free; cholesterol free; low calorie; good source of vitamin C; high in folate; good source of vitamin A. 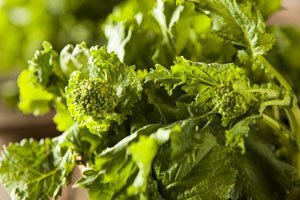 Broccoli Rabe is also called Broccoli Raab and Rapini. Blanch before cooking to make it less bitter. 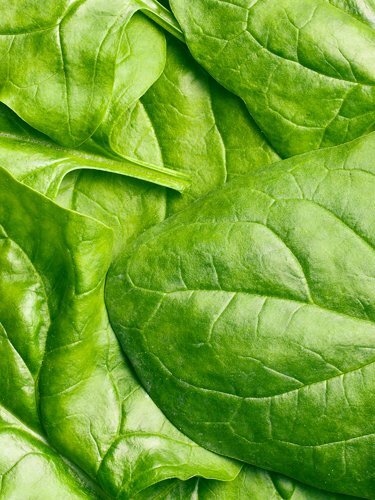 Choose firm, green, small stems with compact heads. 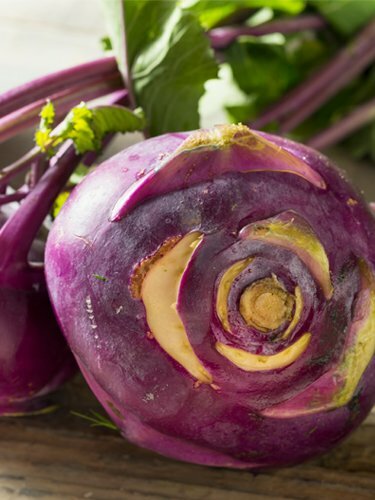 The florets should be tightly closed and dark green, not open or yellow. 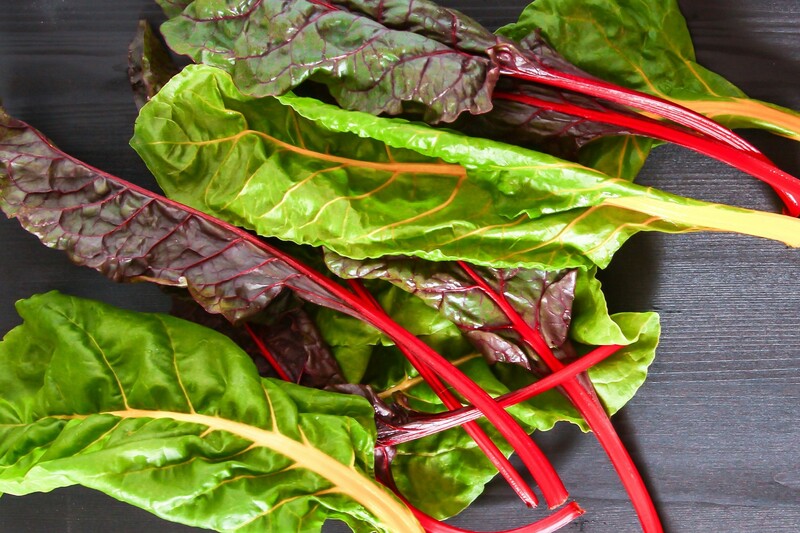 Avoid ones with leaves that are wilted or yellowing. 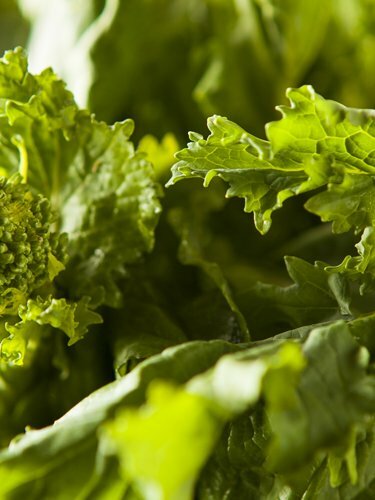 Store broccoli rabe in a plastic bag in the refrigerator for up to 5 days. 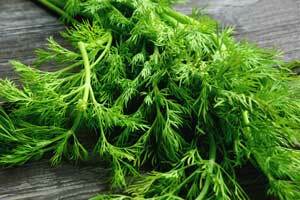 Fat free, cholesterol free, very low sodium, excellent source of Vitamins A and C.
Dill belongs to the celery family. 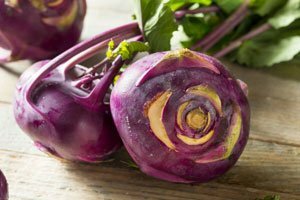 It was extensively used by the ancient Greeks and Romans.